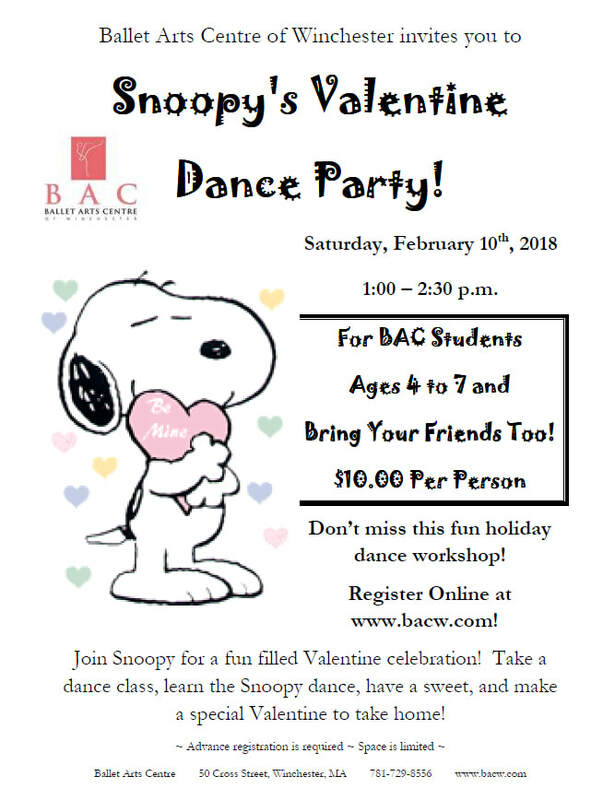 Snoopy's Valentine Dance Party/Workshop - Ballet Arts Centre of Winchester, Inc.
Open To New Students Also! Invite Your Friends To Register! Space is Limited!